Anonimo. Colata di cemento in un posto magnifico. Resort troppo grande e poco in armonia con un paesaggio fantastico. Il ristorante decisamente di basso livello. Molto sfortunati poiché abbiamo avuto 4 giorni di tempo orribile (forse quello ha influenzato la nostra percezione del posto). Thank you for your review. 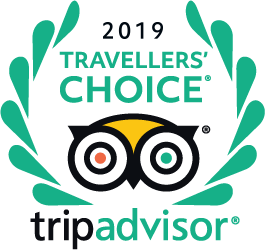 We are very sorry to read that we did not meet your expectations but we are happy to learn that you enjoyed our beautiful island. We work very hard to please every guest and we do hope to have the opportunity to provide you with a better experience on a future stay. Un gioiello nascosto che non deve essere trascurato. Just look at this sunrise from our room. Right outside the doors. We can provide flight schedule options and we also have a package that includes airfare from Providenciales to South Caicos. Please contact us via our website or toll free line and we would be happy to assist. How long is the ride from providences airport to the resort ? Hello, East Bay Resort is located on South Caicos. To reach us, you will need to take a 25 minute flight with Inter Caribbean airlines from Providenciales (PLS) to South Caicos. Once you are on South Caicos, we offer complimentary round trip airport transfers from the airport to the resort. It is approximately a 10 minute drive from the South Caicos airport to East Bay Resort. We would be pleased to assist you with making resort reservations and providing more information on transportation options. Please contact us for details. how many rooms? Is there kiteboarding instruction? what the best means to enjoy a 1/2 day fishing at the resort? is there a reef near by for snorkeling? quality? Hello and thanks for your inquiry. South Caicos is located on the world's third largest barrier reef. You can reach snorkeling within a 15 minute boat ride from the resort. You can also do some snorkeling directly off the resort's beach. We do not offer kiteboarding instruction. Please contact us directly to provide more information on when you plan to visit and the type of fishing you want to do, and we can make suggestions for excursions. We have 86 suites and 16 traditional rooms. I would be traveling with two children, ages 5 and 7. Is your resort friendly to kids of those ages? Is visiting the local schools an option for kids to meet local children? Hello, our resort is definitely friendly to families with young children. Our spacious suites complete with full kitchens and cable TV make families feel right at home. We have a swimming pool, sandy beach, tennis court with basketball net and lots of marine adventures for guests of all ages to enjoy. Kids love going on an island tour and see the wild donkeys and horses. We're confident the local schools would welcome a visit and if you call us prior to arrival we can try to assist with arranging a visit. We look forward to having you stay with us! Do we need to arrange transfer from airport or do you pick us up from knowing our reservation? If bottled water is recommended how can you drink the cocktails with ice safely? Is there a fishing charter opportunity available? Hello, we provide complimentary roundtrip airport transfers on South Caicos. Please ensure our reservations team has your flight arrival details. Our team would be pleased to assist you with making reservations for a fishing charter. We suggest that you make reservations prior to arrival. We look forward to your stay!